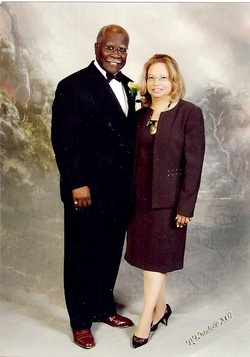 Message from the Co-Founders - Coalition of Multicultural Educators, Inc.
We began this journey simply because we believed that our young people of the Greater Cleveland area needed additional positive minority and bi-lingual role models in the nurturing of their education, spirit and their aspirations for the future. We believe that educating our young people enables them to master their destination in life and that without education hope often remains unfulfilled. 2014 marks the year that we will host our 10th Fundraiser and we pause to say thank you to our corporate and community sponsors, colleagues, friends and family members. Your have continued to labor with us on our enduring journey to inspire, mentor and foster financially the educational goals of graduate students seeking to become school counselors and school psychologists. Through your support, 23 scholarships have been given to students and we are looking forward to a banner year in 2014 to increase support to more students. Your continual encouragement and financial donations are necessary and a robust constant in a time when there are so many needs. We seek to remind your of our upcoming 2014 fundraiser: The Tenth Scholarship Dinner Dance to be held on Friday, May 2, 2014. It will be held at the Executive Caterers at Landerhaven in Mayfield Heights, Ohio at 7 p.m.
Barbara & Daniel J. Brinson, Sr.